Posted on February 13, 2017 by Castaway Ministries, Inc. The Lord had led to send each of the 3 new believers a message emphasizing the importance of attending a Bible-teaching church every week. 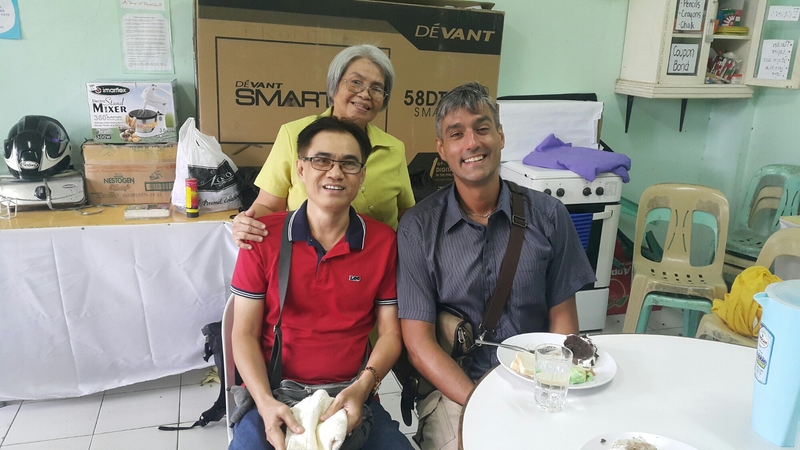 I included a link to Boracay Grace Baptist (this is important to remember for later). The Lord always provides. We trust daily. So when funds were not available to get any closer to home than Kalibo, Philippines, I knew He had another plan. But why Kalibo? $8 rented a motel room. About $2 afforded eating essentials… With about 60 cents to spare, I felt like a true Castaway. Next morning was Sunday. 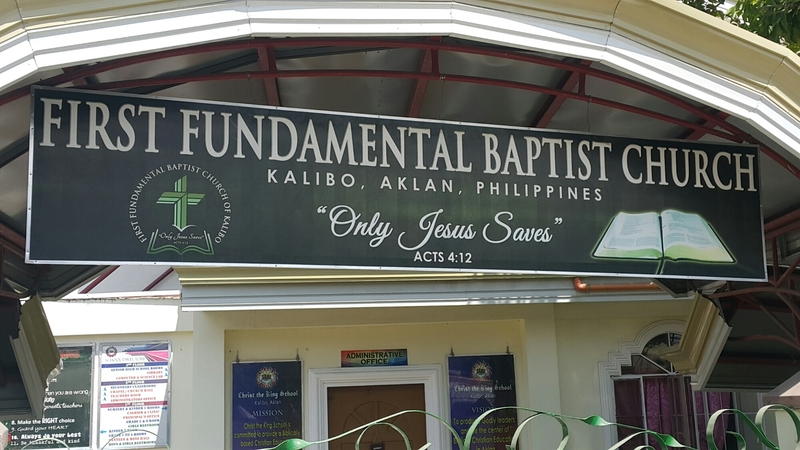 Internet search pointed to two Baptist churches in Kalibo. I set out to walk but was stopped by a kind woman who offered coffee and asked her nephews to drive. GPS guided to an empty site. Villagers pointed all directions. So we tried the other church. Location listed online was closed. Calling did not work. While asking villagers, the Lord led to share testimony with someone who knew exactly where the new church was and kindly took me there. Kyle, a young man who is related to the pastor, was also a blessing. We shared testimony and prayed together. He took me to see their Christian school. Kyle knocked on the door of the teacher accommodation, and intern Pastor Patrick emerged from the building. “So why are you here?” he asked. 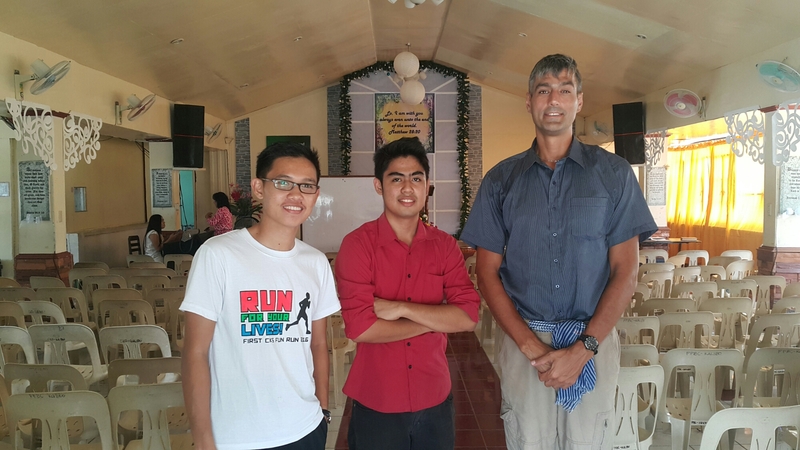 At the end of a school tour, I bounced questions about evangelism in the Philippines off them and received meaningful insights. Then we discussed the Lord’s work through Castaway. “Now I know a reason that I’m here.” Praise the Lord. The Lord filled in the gap / oversight. Integrating into a new church can be a challenge. Patrick can help to shepherd. The next night, I had just enough in credit to stay somewhere but did not make it in time to book. Partly so I could sit inside a building, I tried to muster up money for coffee at McDonald’s but didn’t have enough. Then again, I have been in worse situations in life. And now I am never alone. I have Jesus. Around 2am, I had joined homeless folks and was sitting outside with a backpack and shopping bag of clothes. Passers-by gave strange looks. Along came two young men. Danis invited me to stay at his family’s guest house, which was booked full. When I turned down the offer, they refused to leave me. Several hours later- walking and talking, Danis gave his life to Jesus. After refreshing in the morning in a public restroom, I booked a budget room and set out walking in hopes of an early check-in. Along the way, two people received the gospel with gladness. For accompanying video => click here. ← 3 Saved. Praise the Lord!